7 Congrats on the TFL! Coal town guy is interested in West Virginia. This editor registered on March 28, 2012 and till the date of the award, he had 6200 edits, out of which over 3750 were to create new articles. Throughout his stay on Wikipedia, Coal town guy has been a silent contributor. His articles on towns and ghost towns have allowed Wikipedia to serve its purpose as a Gazetteer, and have allowed other editors to expand on them. Hello, Coal town guy. Voting in the 2017 Arbitration Committee elections is now open until 23.59 on Sunday, 10 December. All users who registered an account before Saturday, 28 October 2017, made at least 150 mainspace edits before Wednesday, 1 November 2017 and are not currently blocked are eligible to vote. Users with alternate accounts may only vote once. What you're talking about is making a derivative work. 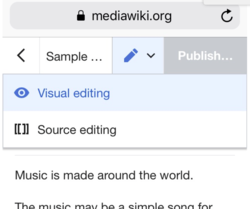 Aside from images "borrowed" under a fair use claim, all images on all Wikimedia sites must permit people to create derivative works from them, and since Commons doesn't permit fair use claims, literally everything on there (aside from copyright infringements that need to be deleted) may be edited freely. If it's in the public domain, you can do anything with it of course, and if it's copyrighted but freely licensed, you just need to follow the relevant standards. You can't release something more freely than the original (for example, the resulting work can't be in the public domain if the original work requires attribution), but releasing something under the same license as the original is always fine, and it's required if the license is a Creative Commons with sharealike clause (cc-by-sa-[number]). Unrelated note, did you see my recent West Virginia uploads? I got a bunch of photos in Wyoming, Boone, and Lincoln counties, including several coal towns. This screenshot shows the same edit as the wikitext diff. The visual diff highlights the removal of one word and the addition of a new sentence. An arrow indicates that the paragraph changed location. The citoid service automatically translates URLs, DOIs, ISBNs, and PubMed id numbers into wikitext citation templates. This tool has been used at the English Wikipedia for a long time. It is very popular and useful to editors, although it can be tricky for admins to set up. Other wikis can have this service, too. Please read the instructions. 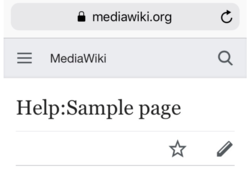 You can ask the team to help you enable citoid at your wiki. The team is planning a presentation about editing tools for an upcoming Wikimedia Foundation metrics and activities meeting. Hello, Coal town guy. Voting in the 2018 Arbitration Committee elections is now open until 23.59 on Sunday, 3 December. All users who registered an account before Sunday, 28 October 2018, made at least 150 mainspace edits before Thursday, 1 November 2018 and are not currently blocked are eligible to vote. Users with alternate accounts may only vote once.